There are, for example, around 1.5 million Chinese students currently studying abroad – and this is a demographic with a lot of spending power, as they often buy luxury products as gifts for family and friends back home. Chinese travellers are another key demographic – they in fact hold the title of the world’s biggest spenders, with outbound tourists spending a whopping $258 billion in 2017. There are also around 50 million people based in Chinese expat communities worldwide. WeChat’s ubiquitous presence in China means it often plays a key role for Chinese overseas too – just as we have the tendency to use the platforms we’re familiar with, no matter where we are, so too do these expats, students and travellers. WeChat, therefore, is a key means of connecting with this target audience. Want to learn more about how to use WeChat to market to Chinese overseas? Here are our top 5 tips. Content must be a key part of any marketing strategy targeting this audience. Travellers, for example, often turn to WeChat for information while overseas, because it can often be difficult to find information in their native language. Some agents and destinations, for example, are using WeChat to provide local area guides, event calendars, attraction and business recommendations, safety information and example itineraries, helping tourists plan and get the most out of their visit. WeChat is also a key means of increasing brand engagement – one report showed that brands who post more than 3 times a week have almost double the viewership per post. There is also evidence that shows posts related to nature (rather than urban landscapes), food and drink, and practical information have a lot more cut-through on WeChat than other posts. The beauty of WeChat is its location-based services, which allow you to connect with your target audience based on where they are. You can, for example, search for ‘Mini Programs nearby’, which will show you location-specific apps. While QR codes never really caught on in the western world, they are absolutely everywhere in China. They are, therefore, a great way to connect with Chinese consumers overseas, as they are highly familiar with them. Take advantage of QR codes to grow your account page following, placing them strategically in magazines, on billboards or adverts, in promotional materials and in stores. WeChat is a great way to build relationships with your customers, encouraging brand loyalty and positive word-of-mouth. Many users, for example, use WeChat to ask companies questions or to resolve issues, making it the perfect platform to provide fast and convenient customer service. Travel companies, for example, could use WeChat as a means of helping travellers who might run into trouble on the road, while brands could provide curious users with directions to the nearest store. This could be further facilitated with the use of chatbots, which can be used to field simple queries, saving precious human resources for more complex problems. With WeChat’s ‘overseas targeting’ feature, brands can specifically target ads to people in specific countries. These ads appear in users’ Moments feed, among posts from their friends and families, so they typically have a high rate of engagement. This does require a more significant investment, with a minimum media investment of around US$10,000 and a charge of around $25 per 1000 impressions (or CPM). If you have the budget, however, this investment could be well worth it. Don’t neglect the market that’s already in your own backyard – with these tips, you can connect with Chinese expats, students and travellers in your neck of the woods. As Head of Business Development, Ada is responsible for identify strategic opportunities, build key customer relationships, negotiate and close business deals and maintain extensive knowledge of current market conditions. 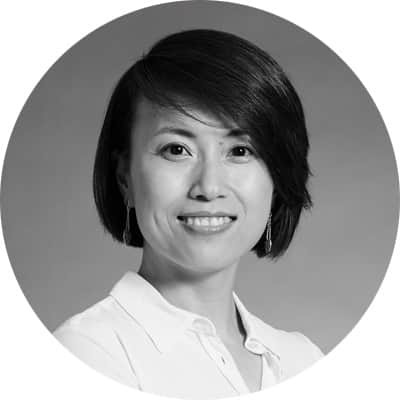 Having worked and lived in both China and Australia, Ada has over 10 years’ experiences in international trade between the two countries, with a solid area of expertise in cross–border E-Commerce that she acquired through her experience at DHL and TOLL Group. 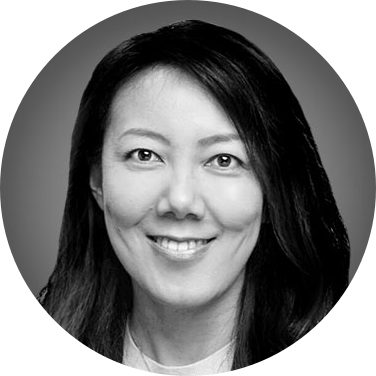 She is passionate about assisting businesses to develop their China entry strategy and managing execution process from digital marketing to cross-border shipping. Ada holds a Master’s degree in International Business from the University of Sydney and a Bachelor of Commerce from Tianjin University of Commerce (China).